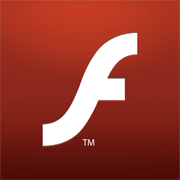 Despite being buffeted by ongoing criticism from Apple and advocates for open Web standards, development on the Flash platform continues with today's release of a finalized version 10.1of the Flash browser plugin. Adobe released a beta version of 10.1 last November and a "release candidate" in April. Today's offering is the first final release to offer parity between the desktop and mobile Flash on Android 2.2 devices.